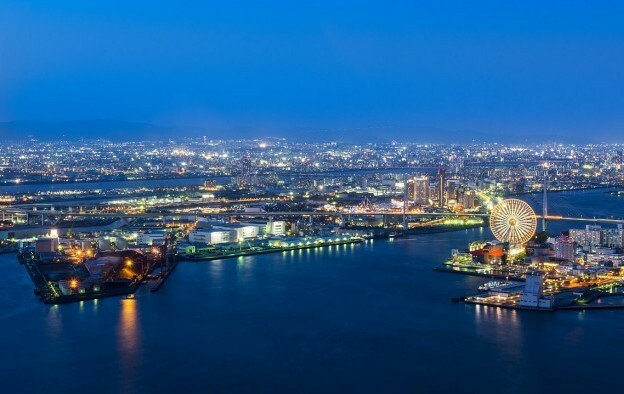 Osaka prefecture and city will start this spring the process of selecting commercial partners in its effort to host one of Japan’s first casino resorts. That is according to comments by Ichiro Matsui, Osaka’s governor, and based on information gathered by GGRAsia. The Nikkei Asian Review newspaper separately reported this week that United States-based casino operator MGM Resorts International – majority owner of a casino business in Macau – was supportive of Osaka (pictured) bidding for a casino project. “We will support Osaka in obtaining integrated resort certification,” Jim Murren, chairman of MGM Resorts, was quoted as saying. Meanwhile in Yokohama, the incumbent mayor, Fumiko Hayashi, is reportedly yet to decide whether to bid for a casino resort – facilities known in Japan as integrated resorts or “IRs”. Ms Hayashi is currently said to be focusing her energies on the Yokohama City Council election, which is due on April 29. According to GGRAsia’s correspondent, the nation’s Integrated Resorts Implementation Act requires local governments wishing to act as a host for a casino resort to make a formal resolution to that effect. A person identified as an aide to Japan’s Cabinet mentioned during the MGS Entertainment Show 2018 in Macau a possible launch date of 2025 for the first casino resort in Japan. Another Japanese commentator at the same event thought 2027 was the earliest it might happen. In other news, it emerged that the Osaka authorities had secured a JPY330-million (US$3-million) budget for integrated resort promotion work in the financial-year 2019 draft budget. The allocation is said to include money for the ‘request for proposal’ phase – that will encompass the private business partner selection process – and to establish what was termed an integrated resort development plan. In contrast, Yokohama has apportioned – according to the Kanagawa Shimbun newspaper – a more modest JPY10 million for integrated resort “research” in its financial-year 2019 draft budget.